Valentine’s Day can end up being so expensive but thankfully it doesn’t have to be! This year make a pact with your spouse to do Valentine’s Day on a budget this year. 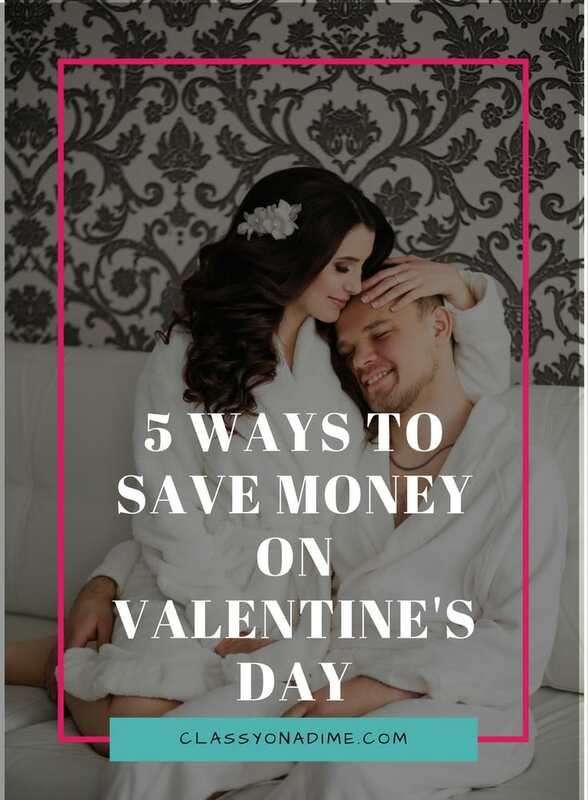 I’ve put together some frugal tips to help you have an amazing Valentine’s Day on a budget. 1. As simple as it might sound, skip on buying your spouse a card for Valentine’s Day card. Those cards can easily cost $5 or more! Instead, write your spouse a heartfelt note. 2. It’s easy to go a little crazy on gifts when you want to show your spouse how much you love them. Make sure you discuss a budget before you start your Valentine’s Day shopping. 3. Skip going out to a restaurant and opt for a romantic home cooked meal. Not only is it cheaper but you’ll avoid the long waits at over-priced restaurants. 4. Rent a movie on Vudu, Google Play or Amazon instead of going out to the movies. Cuddle up on the couch and spend some quality time together. 5. Find a location far away from the city lights and do some stargazing together. I promise you this will be more romantic than any busy restaurant. What tips do you have for saving money on Valentine’s Day?